Cory English - Call on Dolly! through a high school production! His brother was in the production. 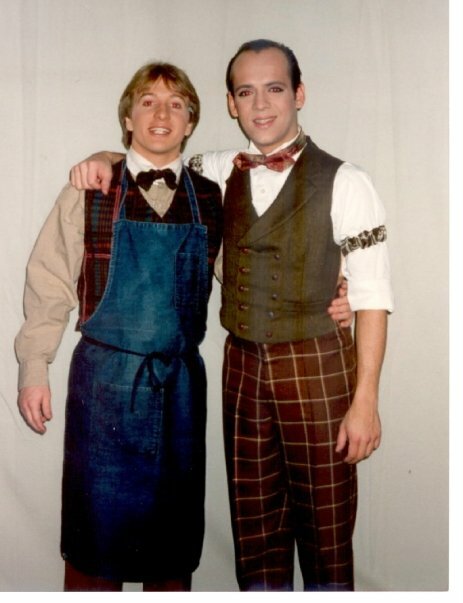 Cory’s brother was one of the dancers in the Harmonia Gardens. He was a “limper” due to a vascular problem in his leg. To watch him dance was quite funny. He was kind of featured because he was the limping waiter. It was hysterical and Cory remembers the Harmonia Gardens AND Dolly Levi blowing everyone’s socks off…even at a high school level. There were no “directors” or stage managers or professional actors. He doesn’t remember too much of the other music. He does remember the title song. Years later, Cory English would be starring on Broadway opposite the ORIGINAL; Carol Channing in what would be her last tour and revival in 1994/95. To be honest, Cory’s brother probably had no idea who Carol Channing was at that time! Where they grew up is not a big musical theater town in upstate New York, Walworth. Beyond the usual high school musicals that are put on like Hello, Dolly and The Music Man, there isn’t much exposure to musical theater. Cory’s road to Broadway with Barnaby was a circuitous route through Paris! Cory was doing Guys and Dollsin New York with Nathan Lane,Faith Prince, and Peter Gallagher in 1992, an amazing production. Cory’s agent got him an audition for a production that was going to be done in Paris starring Parisian star, Nicole Croisille. In the audition, Cory and Lee Roy convinced the producers that he was THE Barnaby for that production. He got the job, left Guys and Dolls, and went to Paris to play Barnaby Tucker for four months. He was finally getting a chance to talk on stage rather than just dancing. It was a great break for him and he loved it. He enjoyed Paris for four months. After that, Lee Roy says to the four principals, Barnaby, Minnie, Cornelius, and Irene, that he had the four of them booked in Houston, Texas doing Dolly with Jo Anne Worley, right after Paris, if they were interested. They all said yes. They then went and did four weeks there. Cut to two years later. 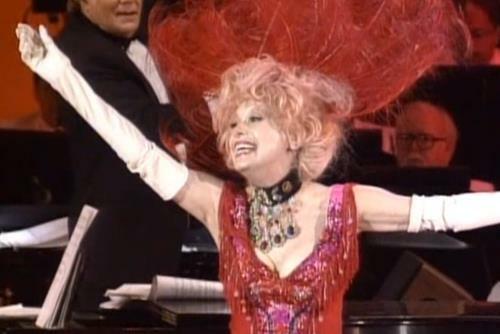 There is now a proposed fourteen month tour with Carol Channing that would take the show back to Broadway. 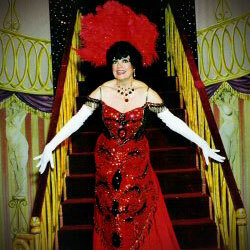 The Minnie Fay in Paris/Houston was Susan Bernstein Vardy and Lori Ann on the tour and the Broadway production. 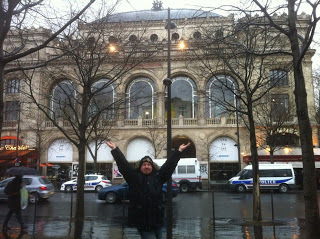 West Side Storyhad played in Theatre Du Chatelet in Paris. It had been a huge success. The theater owners thought, why not a great American musical? They were hoping to turn this theater into a musical venue. Their fears, however, was that Dolly is more dialogue based. Perhaps the French wouldn’t quite grasp it. West Side Story is told mostly through dance. They had subtitles for Dolly underneath the stage and above the stage. That took away from some of the action. This production wasn’t that well received. Cory doesn’t know whether or not the producers made money on it but they did close three weeks early. To go from a production where, for the audience, English was a second language to Jo Anne Worley, an actress who commands the stage and your attention and focus, was incredible. The cast finally got it! These are where the laughs are supposed to be, etc.! Finally doing it for American audiences was a real joy for everyone. Everything landed in the right places. There was a collective “Ahhhhh…This is what it can be.” That was a great experience, especially directly after Paris. Cory is in love with Hello, Dolly! He has been pretty lucky with the revivals he has gotten to do. He’s done Gypsy with Tyne Daly. That was his first Broadway show at twenty. He is in love with Mama Rose as much as he is with Dolly Levi. Then, as mentioned, there is Guys and Dolls, another great show. He is in love with those three shows. He was also in love with hearing Florence Lacy as Irene Molloy singing Ribbons Down My Back. He would stand every night and watch that in the wings…and he tried to sing like her, as well! It was a real build to go from Nicole to Jo Anne Worley to Carol Channing. 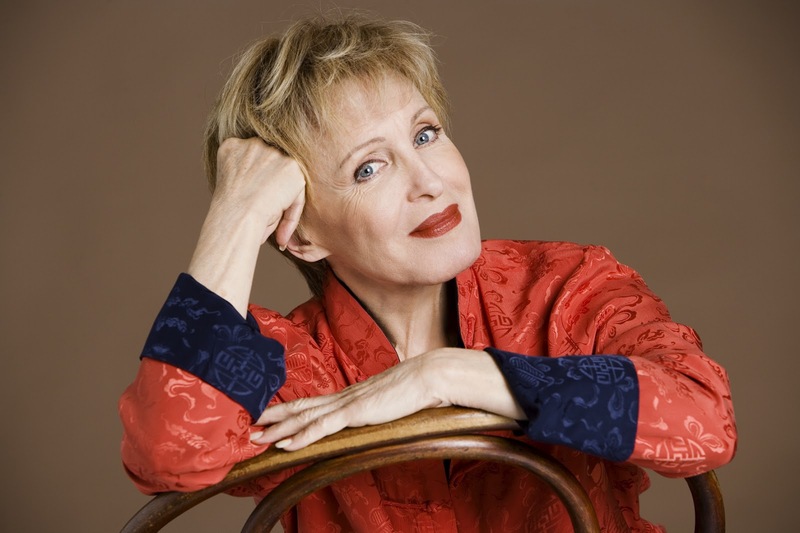 Lee Roy would always regale the cast with stories of Carol. Everyone that had made this journey was thrilled. There were probably seven or eight from the company who did all three productions. Being with Carol was the ultimate. Houston’s Theater Under The Stars production starring Jo Anne Worley’s production, not to downplay the Paris production, truly convinced Cory that this was a fantastic show. With Jo Anne at the helm, AND American audiences, they were getting all the laughs at the right places. He remembers at eight years old and laughing and loving it and not really knowing what he was laughing at. Playing all across America and hearing Carol’s ovations, entrance applause, and standing ovations, and the Harmonia Gardens stopping the show, you knew it was a show that everybody loved to see. Lee Roy was absolutely the type of director to give “pep” talks to the cast. Lee Roy is an actor, an entertainer, like everyone in the cast. He knows Hello, Dolly inside and out and he can direct it. He knew an entertainer the cast’s roller coaster ride throughout the run. He knew EXACTLY when the cast needed a pep talk. He knew when the cast would take things for granted for a laugh. He would call the cast on that right at the right time. He looked out for his leading ladies and made sure that they were there for Carol and she was for the cast as well. He was dynamite at guiding all for the entire run of the tour and on to New York. 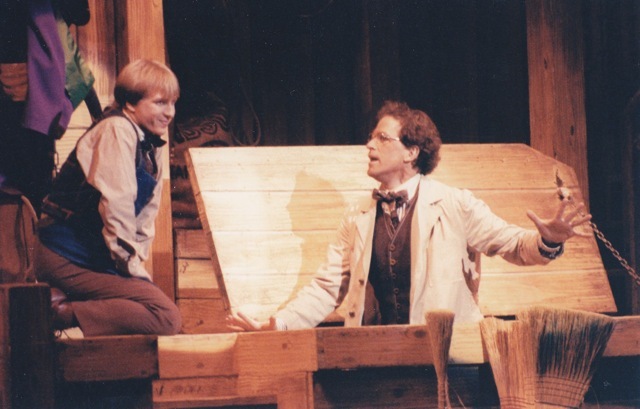 He also shared this entire journey with Michael DeVries as Cornelius Hackl. Michael and Cory became very close sharing Paris, Houston, and fifty cities in America before Broadway. One regret that Cory has is that he was actually a little too young to enjoy Paris. They did play poker a bit late each night and he didn’t get a chance to enjoy the museums. He wishes he could take that back. For Cory, Michael will always be Cornelius Hackl. If Cory ever casts the show, he’ll be looking for Michael DeVries. When it comes to the title number, the steps in that choreography are not that difficult. It is very simple, but the “pictures” that are created with that choreography are just dazzling and when those guys do those jumps, you really see them suspended. That jump in of itself is not difficult. Jumping over the pit is a bit of a “wow” factor. Other than that, once again, it is pretty simple. Because of these beautiful patterns, the audience is overwhelmed by it…whether it’s Carol or Jo Anne or Pearl Bailey. It’s just breathtaking. He would also watch that in the wings a lot. He loved watching the guys do their thing. The sets and the costumes for the Carol Channing production were to be replicated from the original. They were not going to “jazz it up in any other way”. They wanted to stick with the original. Even if it looked a little dated and two-dimensional, it didn’t matter, not like a museum piece, they were going back to simple sets. Their goal was the look of ’64 instead of ‘94. They wanted that simplicity with new paint and fabric, of course. Those “Sunday Clothes” were just as breathtaking as they were thirty years ago. That entire tableaux is just a moving set piece, those beautiful dresses making their entrance. Those gowns were a set. It was beautiful and moved so slowly that it did look like a moving set piece. Lee Roy knows the show inside and out and he knows what works. He encouraged Cory to be himself. There are certain things that Lee Roy knew the timing on and he would say, “If you want the laugh, Cory, here is how it is done.” He would show Cory and he was absolutely right. As he has learned over the years, you still have to make it your own within that framework of timing that has worked in the past. Lee Roy would show Cory technically how to do it, but Cory still had to make it sincere and truthful. There is the balance on what you have to do. You can’t make it choreographed shtick, you still have to make it your own. You don’t have to be, however, a carbon copy of Jerry Dodge from 1964 or Danny Lockin from the movie. Part of the tour takes them just outside of Cory’s hometown, Rochester, New York. Cory has probably a thousand people seeing him in a week. On the Saturday night performance, Cory has over two hundred people coming to see HIM. It was the first time that he was professionally playing in Rochester. He had everyone from the milkman to the town clerk to all of his teachers. The high school came in a big group. It was a fantastic lovely moment. The support was overwhelming. After the show that night, Cory throws a party for about two hundred people that have come to see the show. He felt that if that many people were coming, he should show his appreciation. He threw the party in the theater and Carol Channing came. It was magnificent and she was so generous. She went around to everybody and said hello to all of his relatives and teachers. It was incredible. Also that night, Cory got entrance applause. That normally doesn’t happen with Barnaby. It stopped the show where the show shouldn’t be stopped. You need the entrance applause for Carol, not for Barnaby. On that night, he got it! Jay Garner, as Horace Vandergelder, stopped, looked at the audience, then back to Cory and said, “As I was saying, Barnaby…”, and continued with the show. It was a magnificent week, just wonderful. Cut to Carol Channing’s home town of San Francisco. 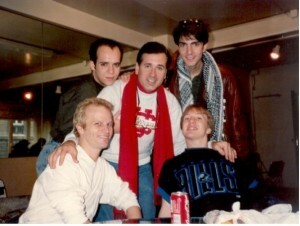 This was towards the end of the tour prior to Broadway. It’s opening night and it is just a ruckus. It is a phenomenal supportive audience. There was so much love coming from the audience. Carol and Cory always had a moment backstage during the tour just before she came down the stairs of the Harmonia Gardens. He would be coming out from underneath the stairs and she would be on top ready to come down. He would always look up to her and say, “Have fun” or “They’re lovely” or something along those lines. On this particular night, Cory said to Carol, “Carol, they are just LOVING you tonight!” She said, “Yessss! And I didn’t have to throw a party to get entrance applause!” It was probably six months later. Cory would not change a thing. He is very happy with the work he did. Taking a lead from Channing, even after so many years of doing it, she would still work on the laughs. Audiences are different ten years later. She was different ten years later. She was different from production to production. She would still work the audience in a different way. There was a great Saturday matinee audience in Minneapolis. He woke up hung over from Jager shots from the night before. He was absolutely horrible. He got to that Minneapolis audience and they were incredible. It lifted him so much. All he had to do was say the lines and he would get the laughs. You don’t always have those audiences…especially in Florida! Florida audiences are a bit older and certainly enjoying it just as much as the Minneapolis crowd. They are just not as vociferous. You have to work that crowd a little bit different. To watch Carol deal with that, Cory certainly followed her example and kept working on the timing of the laughs. The audiences probably wouldn’t notice, but Cory’s journey on Dolly involved subtle changes here and there on his timing. That happens with all roles. When it comes to “freezing” a role, you can’t freeze it that much or it’s going to get boring. 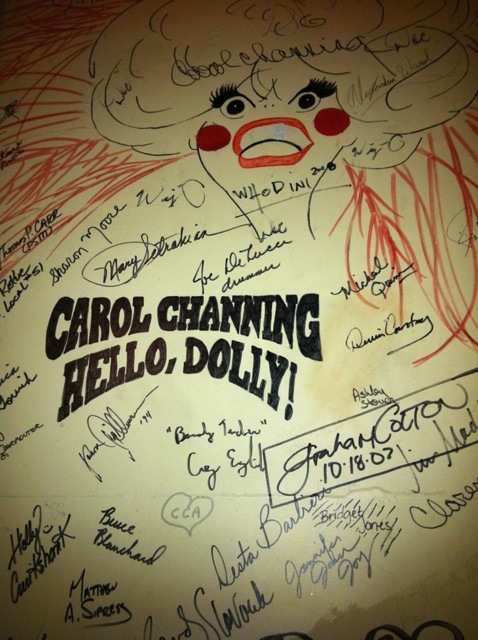 Over the years, Cory has never seen any other production of Dolly other than the one his brother was in and those he was in all before he was twenty-five! The end of the first act, Before The Parade Passes By, has probably affected a lot of the older generations who have seen Dolly over the years, probably as young as fifty. It’s all about getting back on the horse and not letting life pass them by and getting to enjoy life again. Then there is the entertainment of The Harmonia Gardens, itself. That’s what audiences have carried away from Dolly over the past fifty years. Lee Roy Reams filled Cory with so much confidence that he just had to be his perky, young self. Barnaby, according to the script, is a 17-year-old shop apprentice. At twenty two and twenty three, Cory had energy to burn. He brought Cory into the part. Sometimes, Barnaby and Cory certainly were very close on stage. Everything goes straight back to those Ephraim speeches. Cory still gets misty thinking about it. Those speeches to Ephraim are the heart of Dolly. Cory has a lot of those conversations as well with people who have moved him over the years. If anything, that goes straight to his heart and has affected him and inspired him. It’s those Ephraim speeches that he has carried along since last playing Barnaby Tucker. His favorite part, for himself, was the hat shop scene on Broadway where Jay Garner, as Horace Vandergelder, would chase him and Michael around the shop. Cory had to do the slide under the table. That was one thing he could make his own. He used to do a head first slide like a Pete Rose baseball slide. He would slide under the table and come out on the other side and then crawl back under the table for Jay Garner to smack the table. It taught Cory a lot of his comic timing that he still has today. Jerry Herman was around quite a bit for this tour. The company must have seen him about a half dozen times on tour. He threw the company a nice part in Beverly Hills when they played Los Angeles. That was wonderful for “all us young Broadway folks.” Cory wishes he wrote more. Cory had only one bad moment that still stands out. They were in Nashville. He got word during intermission that his mentor, Christopher Chadman, had died. 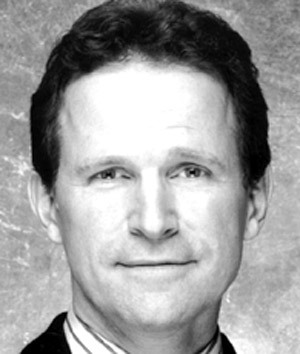 Christopher Chadman (born circa 1948 – died April 30, 1995) was an American dancer and choreographer who was nominated for Tony, Drama Desk, and Outer Critics Circle Awards and was the winner of the Fred Astaire Award for his choreography for the 1992 revival of Guys and Dolls. Cory was bawling in the basement trying to get him together, and not doing it very well. They held the curtain for the second act for about five or ten minutes for him to pull himself together. Cory had to go out there and do Elegance with Christopher Chadman on his mind. He can still vividly remember that moment. Every time he would pull himself up as a dancer, he thought of Chris Chadman. 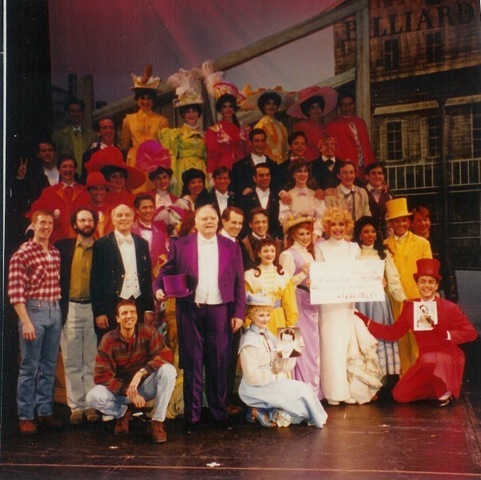 The second act of Hello, Dolly that night was a bit tough. He will always remember Elegance and thinking of Chris Chadman which had nothing to do with Hello, Dolly! That was one of the not so nice memories he has of his Dolly experience. He did finish the show and went home and bawled some more. 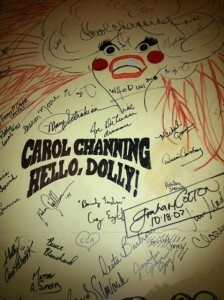 Hello Dolly! closed at Lunt-Fontanne Theater New York City after 118 performances on January 28th, 1996. ((It opened on October 19, 1995). Cory wishes that run had been a little bit longer. The Royal Shakespeare Company’s production of A Midsummer Night’s Dream, directed by Adrian Noble, opened at the Lunt-Fontanne in March 1996, and it received eight positive reviews, which helped it to run for 65 performances. Cory was lucky enough to have A Funny Thing Happened on the Way to the Forum to go to. He knew he had another job which was wonderful. Instead of being depressed, which you can be when a show is closing and you’ve having that final chapter when you know you’re probably never going to do this show ever again. You’ve done it for two and a half years. You’ve done it on two continents and fifty cities. It wasn’t depressing for him. He knew that he was going to take those experiences with these leading ladies and Carol Channing and Jerry Herman’s music and Lee Roy Reams’ direction on to his next show and the show after that and so on. As of this writing, it is eighteen years later. He is currently playing Amos on Broadway in Chicago. 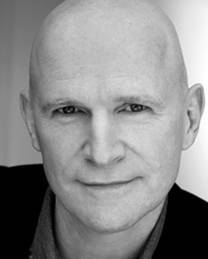 In 2009, he played Igor in Young Frankenstein also on Broadway, replacing Christopher Fitzgerald. When you replace somebody, you have to take on the energy of that person. You’ve got to fit in as well as making it your own. What Cory learned from Lee Roy was that he had to match the energy of Jerry Dodge. That IS Barnaby and what a lot of people think is Barnaby. He also had to do the same thing with Christopher Fitzgerald AND Marty Feldman. He went back to that Barnaby experience and what Lee Roy and Carol taught him and that whole Hello, Dolly experience. Every time he takes on another persona, he thinks back to what he did for Barnaby. He didn’t go to University. He didn’t go to drama school either at that time. He learned from his leading actors: Carol Channing, Nathan Lane, Tyne Daly. Those were his professors. That’s the way he looks at it. He has watched the professionals, the experts. He was thinking, “I may do that someday so I better pay attention.” Luckily he did and he has had great success. 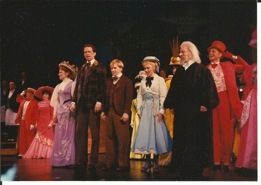 For Cory English, Hello, Dolly was the kickstart of his career as an actor. He was now trusted with dialogue in addition to his dance. It was a huge breakthrough. It gave him confidence that he could be an actor. It was another chapter of spending time with his next professors who were Lee Roy Reams and Carol Channing.